Want to spend a weekend exploring Rome as a contemporary outpost? I’ve lined up where you need to go and stay in my latest update on contemporary art in Rome for Forbes Travel, December 2018. 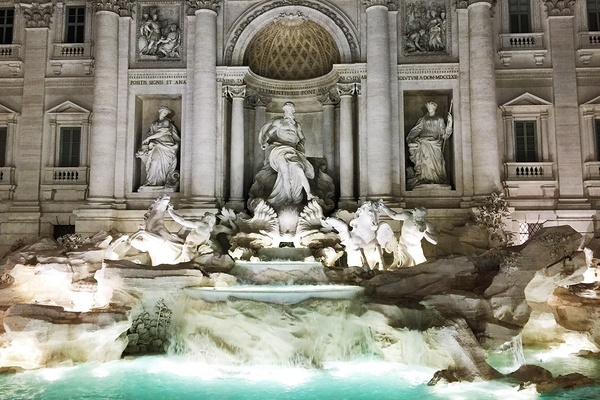 Rome is where the art is, but these days it’s more than just colossal monuments, dusty archeological sites and beautifully decorated Baroque churches. 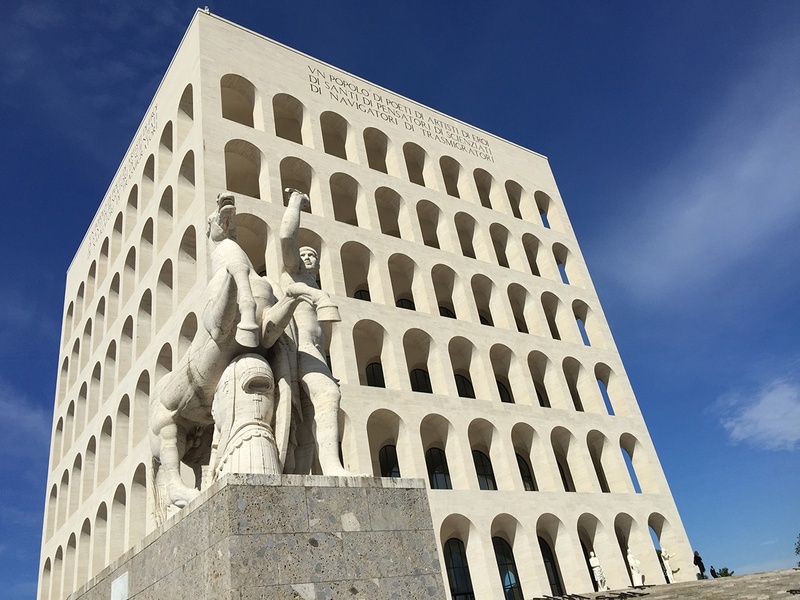 Contemporary art is finally making a significant mark on the Eternal City’s landscape. The destination is now replete with an itinerary of museums, galleries, concept spaces and creative hubs. We’ve plotted out five top places that bring this ancient city back to the future. One of the newest galleries on the scene, this former municipal office building underwent a three-year renovation in preparation for the eclectic, 90-piece collection of Elena and Claudio Cerasi, prominent local patrons of the arts. Most of the museum’s works are Italian pieces created between World War I and II by artists such as Giacomo Balla, Giorgio de Chirico and Alighiero Boetti. Art aficionado or not, you’ll want to hang around at CafeCulture, the palazzo’s boutique and coffee shop. The menu features a variety of fare sourced from local purveyors, such as cheeses from ProLoco DOL, hamburgers from famed butcher Bottega Liberati and sweets from patisserie Cristalli di Zucchero. 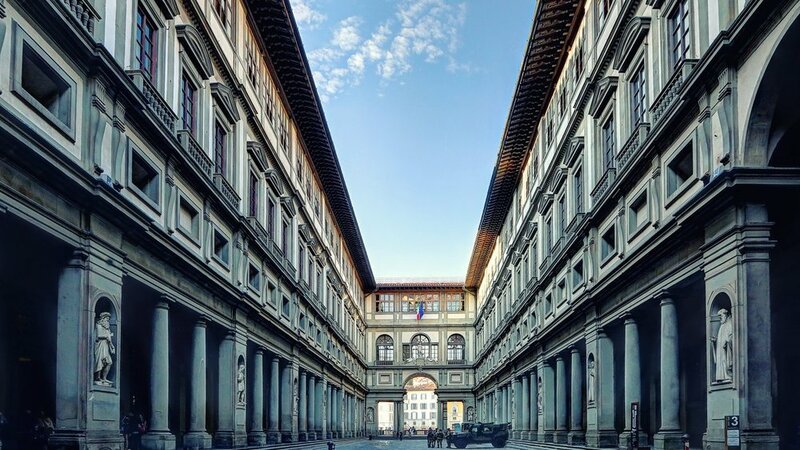 This avant-garde experience is the 21st-century manifestation of those iconic multidisciplinary performances of the 1960s and ’70s: a boutique/art gallery/event space housed in a decadent 17th-century palace on a side street off Campo de’ Fiori. The hybrid art and commercial venue hosts monthly exhibitions, weekly performances and DJ sets, while its grounds have permanent and pop-up shops and cafés. In essence, Contemporary Cluster is a concept store with an artsy vibe that constantly draws an eclectic crowd with almost everything being for sale as a bonus. It’s not every day that one of the world’s most famous contemporary art galleries joins forces with an ancient archaeological site. 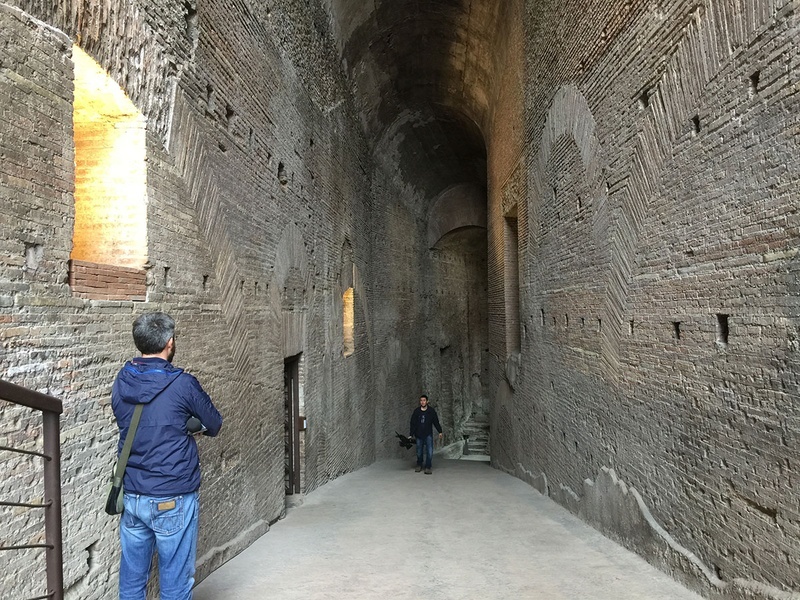 Gagosian, whose imprint in Rome has upgraded the art scene over the past 10 years, has turned to the past for a site-specific, National Roman Museum-partnered installation at the Crypta Balbi ruins. Through January 27, the first-century theater provides a rustic backdrop for contemporary sculpture Split Stone (7:34) by American artist Sarah Sze. Using an ultra-modern process by which thousands of tiny cavities etched into the rock are filled with pigment, Sze has created a captivating crystalized sunset scene on the stone’s mirror-like surface. To find the pulse of the international art scene, head for British art dealer Gavin Brown’s Rome outpost — it’s everything and nothing you’d expect. Located in a nondescript, deconsecrated church on a side street of Trastevere, Sant’Andrea de Scaphis is a single, rustic room of hauntingly charming medieval architecture that usually features a single artist installation. Exhibits rotate every few months, so it’s unlikely you’ll run into the same works twice. The historic space is hosting a politically charged display by American graphic designer Sam Pulitzer, “May The Last Nationalist Be Strangled With The Guts Of The Last Technocrat,” through December 8. 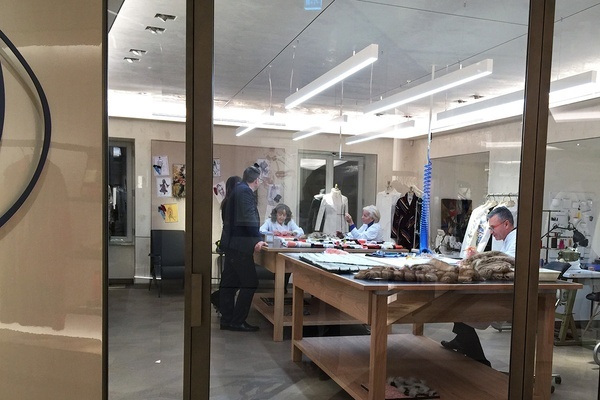 The name Fendi is synonymous with Rome’s fashion scene, but the designers’ youngest sister, Alda, opts for a more innovative interpretation with Fondazione Alda Fendi — Esperimenti, her nonprofit arts foundation. The group’s latest experiment is Palazzo Rhinoceros, a new creative hub in the Velabro neighborhood that opened in October. Architect Jean Nouvel rebooted a centuries-old palazzo into a multi-level gallery, 24 luxury apartments and a rooftop restaurant, without altering the building’s historic bones. While the interiors are stunning, some of the venue’s highlights are actually found outside, including a can’t-miss portrait projection of Alda by Pierre et Gilles on the façade and a life-sized resin rhino that lurks in the front yard. Rome’s undeniable harbinger of style and hospitality, this Forbes Travel Guide Five-Star stunner is dripping in fashionable touches — think art deco details, custom furniture and resplendent marble accents. 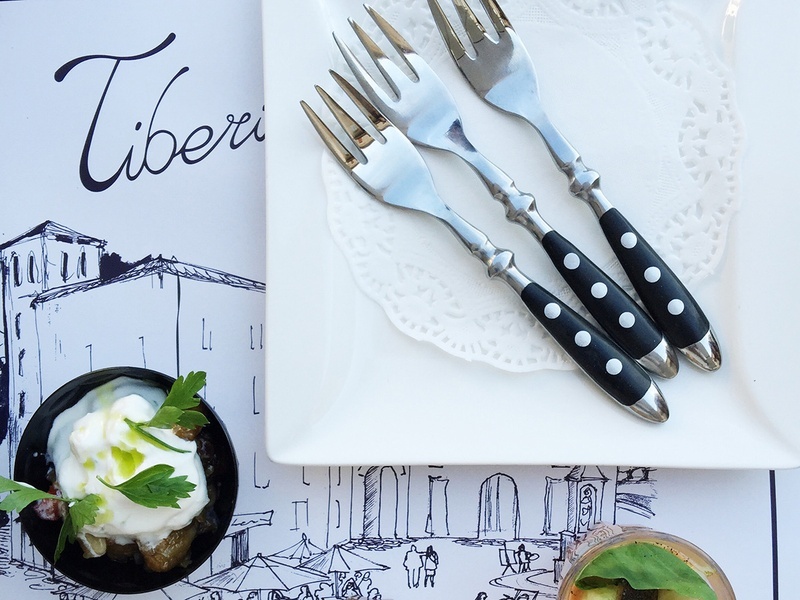 For a picture-perfect end to a day of gallery-hopping, dine at La Terrazza, the luxury hotel’s rooftop restaurant boasting some of the best views of the city. Located on the bluffs of the famed Janiculum hill (between Trastevere and Vatican’s Borgo neighborhood) on the site of an imperial villa, this Four-Star retreat is a city-center oasis that comes complete with a 1920s-era pool and lush greenery. Though its origins are ancient, Gran Meliá’s style is contemporary: sleek modern furnishings, wide-open spaces and the sophisticated My Blend by Clarins spa. Stay in the heart of the action when you book into Palazzo Rhinoceros’s fully immersive-art experience on the edge of the Roman Forum. Each of its 24 rooms is minimalist chic, meticulously designed and curated by the aforementioned Jean Nouvel, the superstar architect behind the cutting-edge Louvre Abu Dhabi. The stylish rooms are outfitted with luxe touches, too, like Bang & Olufsen TVs, fully equipped kitchens and L’Occitane amenities. This article originally appeared in Forbes Travel, May 2018. And that is my face of utter terror. Now that I've overcome the fear of shamelessly sharing a selfie - I'll take the next step and ask you to consider signing up for my newsletter where I'll share recent articles I've written and social media campaign I've contributed to, as well as great books, articles and publications I'm reading and any upcoming travel.. So if you have room for one more monthly email, sign up! Believe it or not, there has been a lot newness going in Rome, and a lot has to do with its Ancient and Renaissance past. I've shared it all in the article "Everything Old is New in Rome" for Fathom. 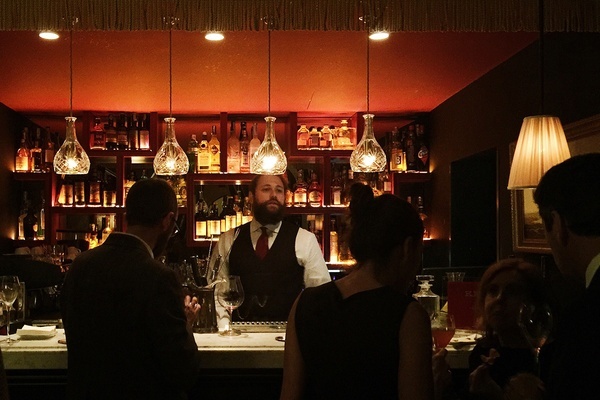 From hotels and restaurants to historic sites, Rome has some great old news. ROME – Rome is a city that doesn't always follow the rules or live by definition, especially when it comes to the concept of newness. Living here, I've languished in the old-school vibe and old habits, while occasionally thirsting for that take-the-wrapping-off new feeling. I've come to the conclusion that newness is relative... Read more on FATHOM. I like art. It's pretty obvious if you happen to hear me chatter, whether face to face or on social media. I love going to galleries, meandering museums, investigating installations- it doesn't matter, I just need to have an art experience. I could probably call it an addiction, which may explain why I am so adamant about being first in line at the Venice Biennale, finding art tags on Instagram or helming my own Insta-artsy project #EmptyMuseo. Combining my love for art and the fun I can visually have on Instagram, The Professor (aka Darius) and I have been curating some great art meet ups in Italy's galleries over the past year. The latest installation was October 26's #EmptyVatican, the love child of a great coffee talk between me, Darius and the Patrons of the Arts in the Vatican Museums, an organization focused on bringing together restoration projects and donors within the walls of the museums. Darius and I would select a group of 10 Instagrammers, including ourselves, based on interest, aesthetic, community participate, and committed desire to share Italy's cultural heritage, and let the world know about the Vatican Patrons and its free app Patrum. A decade and a half ago, I lived in Venice, that dreamy archipelago of islets and moody blues. Manganese in the mornings, Idranthene at night, cobalt turquoise in the reflections, Phthalo turqouise and Phthalo green cobalt mix in the rain, Ultramarine and Davy's Grey mix in the winter.... a Winsor Newton palette plus Campari red and Aperol orange accents. Venice bore into me with azure and indigo moments that I can still feel if I close my eyes. I get the same feeling when I open up the pages of Joann Locktov's Dream of Venice. A Venice love letter, Locktov's book is a beautiful curation of photos by photographer Charles Christopher and prose by writers, artists, directors, Venetians and Venetophiles, including Nicolas Roeg, Julie Christie and Patricia Highsmith-- artists who led me to get lost in a Serenissima of Don't Look Now and The Talented Mr. Ripley. All 37 lyrical contributors, like luminaries Peggy Guggenheim, Marcella Hazan, Erica Jong, Woody Allen and friends Jessica Spiegel, Giampaolo Seguso, Nan McElroy and Eleonora Baldwin, are paired with Christopher's beautiful photos of Venetian alleys, disappearing campi and piazza, and glittering water, in color and black-and-white shots. It is the perfect book to get lost in Venice for a minute or a whole afternoon. Welcome to my very first contest (and quite possibly the only one). Through November 11, I want you to share with me your Venice Moody Blues by posting your favorite Venice photo on Instagram. Make sure to tag me @EricaFirpo, and #VeniceMoodyBlues so that everyone can find the photos. On November 12, I will announce a winner, (by random selection), who will receive a copy of “Dream of Venice", shipped directly by Joann to anywhere in the world. WINNERS UPDATE: After 170+ submissions, I needed help so Joann and I perused through all of them came up with a tie: Alessandro Sarno and Brian Etherington. To see all, please take a look at #VENICEMOODYBLUES. There are a few things in life I can't say "no" to: gazpacho, a quick trip to Milan and a great conversation with a fabulous friend. That's a trifecta rarely attained, if at all, until this past July when Tamu McPherson, the eye and voice behind All the Pretty Birds and Milan girl about town, invited me to her cafe to talk about Italy in the Digital Age. Here's a little back story: I've being following Tamu and All the Pretty Birds for years, from her beginning as a street style photographer and to her evolution into one of fashion's bestlifestyle blogs. I've long loved Tamu's style- writing, behind the lense and her fresh look on fashion. Most of all, I love how much she loves and lives Milan through art, culture and fasthion. Tamu's Cafe is a food/lifestyle series that brings fashion, design and food luminaries to the table, so you can imagine how flattered I was when she invited to bring over a recipe. Tune into Tamu TV for a little bit of gazpacho, Milan-with-a-view, a chat about Italy in the Digital Age with me!